Born in New York City, my mother and father were charter members of Transfiguration Lutheran Church in the Bronx, where I was baptized and confirmed. I am married to Letty since 1971, and we have two children, Jennifer and Joseph. Jennifer is the principal at Chesak Elementary School in Huntley and is married to David. Jennifer and David have 3 children, Becca is a sophomore at the University of Tampa, Sarah who is a senior at Huntley High School and, Matthew who is in the fourth grade. Our son Joseph works at the ELCA churchwide office for the Mission Investment Fund, in their marketing department. I earned my B.A from Lehman College in New York, and completed my Masters of Divinity at the Lutheran Theological Seminary at Philadelphia. I have a Doctor of Divinity degree from Newbury College and a Doctor of Ministry from the Lutheran School of Theology in Chicago, with concentrations in the areas of Leadership and Worship. I was ordained in 1983 and served my first congregation, Our Saviour Lutheran Church. In 1987 my family and I moved to the beautiful island of Puerto Rico where I served at Iglesia Luterana Sion and later Iglesia Luterana Santisima Trinidad, which has one of the largest Lutheran Schools in the Caribbean. In 1993 I was elected bishop of the ELCA’s Caribbean Synod, which included the island of Puerto Rico and the U.S. Virgin Islands (St. Thomas, St. John and St. Croix). In 1997 I accepted a call to the ELCA churchwide office where I presently serve as the Director for Candidacy and Mission Leadership where I oversee the formation of all of our ELCA pastors and deacons. Letty, Jennifer, Joseph and I became members of Living Waters Lutheran Church, and later were asked by the synod to help start a new mission congregation in Huntley, now Shepherd of the Prairie Lutheran Church, which held its first services in our home. After Shepherd of the Prairie became established, Letty and I returned to our home congregation, Living Waters. ​Doug was born in Fargo, ND and raised in Moorhead, MN. January 31, 2019 he completed 26 years of service as Executive Director of Lutheran Men in Mission. Prior to that he served congregations in Sandy, UT (where Doris and he were married and Derek and Dawn were born) and Auburn, CA. His focus has always been the empowerment of laity for ministry in the church and world. He is an avid Viking fan and bicyclist. His playlist ranges from classical to country, jazz and rock. Johnny Cash is a hero. Doris and Doug are charter members of Living Waters. Doris is a vocational counselor at Judson University. Their daughter Dawn lives with her family in Tumwater, WA and son Derek lives in Denver. 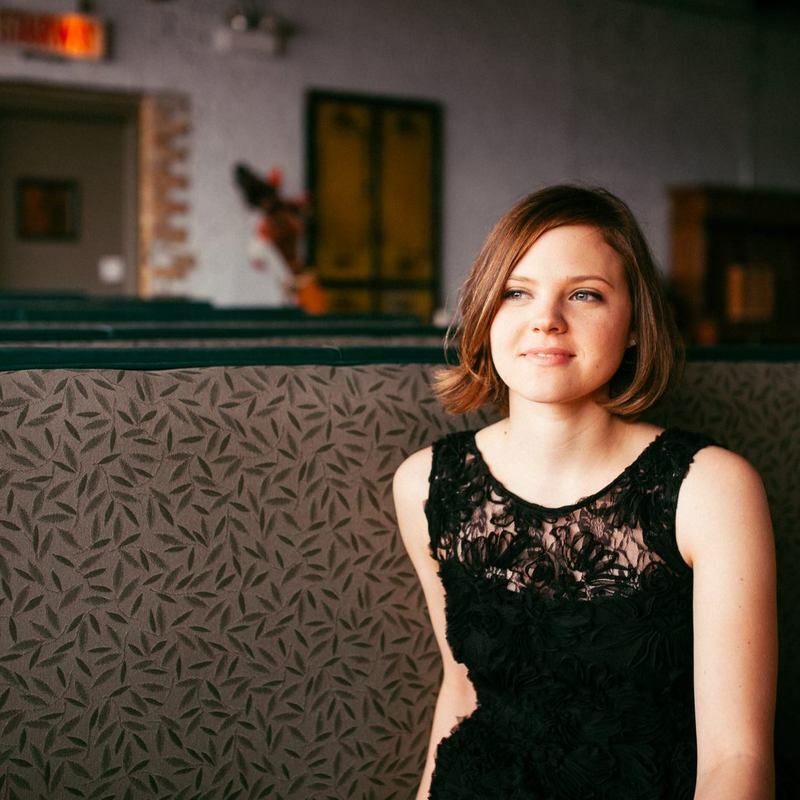 Olivia Flanigan is a singer, pianist, and music educator based out of Chicago who joined Living Waters in 2018. She was born into a musical family, and music has always been a huge part of her life. She began singing in classical choirs and found a passion in singing. She studied Jazz Voice at the University of Illinois at Urbana-Champaign, and after receiving her Bachelors in Jazz Studies, she continued on to receive her Masters. Most recently, Olivia was the Director of Jazz Voice at Universidad San Francisco de Quito in Quito, Ecuador, which is a Global Partner of Berklee College of Music. Olivia performs jazz, pop, and classical music, writes and arranges her own material, and performs frequently at both public and private events. She continually works to create community and connection through music. A lot happens at Living Waters throughout the week to make sure our shared ministry continues. If you call during the week you might just be greeted by Lisa who helps to put together our weekly bulletin and monthly newsletter. Her volunteering is a great gift to Living Waters and something we do not always notice on Sundays. Lee has been leading Living Waters in this area of ministry since June of 2017. She is highly gifted in trying to find ways to connect families with faith. This is not an easy task because at Living Waters we encourage families to grow their faith in their homes. Lee is tasked with developing ideas and habits that will fit into a families busy life so that faith is not something talked about once a week but becomes a part of regular conversation. If you have questions or would like to have more conversation about how you can deepen your faith conversations connect with Lee, she is more than willing to help make this happen.